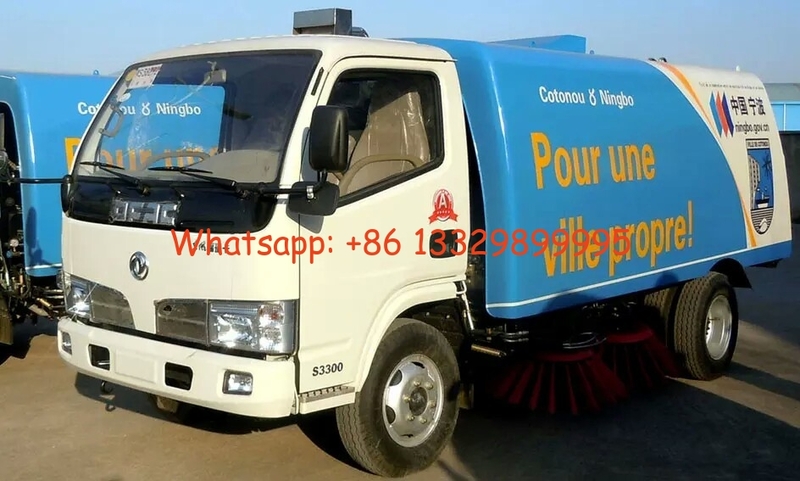 Chengli Special Automobile Co., Ltd. is the leading manufacturer and supplier of road sweeper trucks in China. With many years’ development, we Chengli Special Automobile Co., Ltd. can manufacture and sell dongfeng brand, JAC brand, ISUZU brand, forland brand, FAW Brand, FOTON brand, Jac Brand, HOWO brand, etc. More information, please feel free to contact with Ms. Anita. The hot sale line is 0086 13886878855 or send email to szhj9999@163.com. 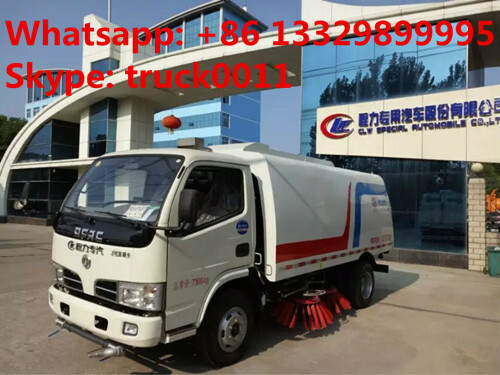 Sweeper disk, Vice engine, Italy motor, Schneider control switch, solenoid valve group, cluth, fan, Taiwan hydraulic valve, stainless steel garbage bin and water tank, etc. 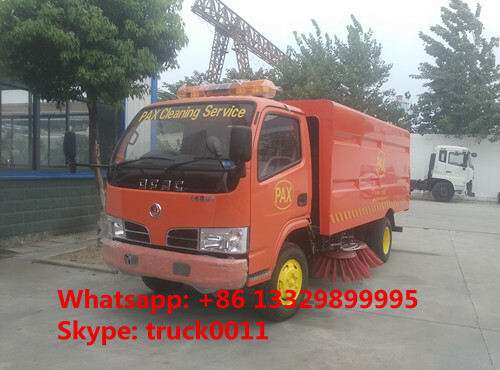 The truck use middle 4pcs cleaning brushs,and rear installate suction mouth,so the truck cleaning effect is good ,and the truck water tanker and garbage box made by SS340 stainless steel ; Garbage box and the water tank is an integral structure, water tank in the dustbin garbage box bottom plate bottom pretilt angle up to 12°, easy to dump clean. Garbage box is arranged on the top of the guide groove and a larger area of the filtering net, can fully improve the efficiency of dust removal, so that garbage piles evenly,increase effective capacity, reduced due to a blocked filter and the air resistance.